HIPPS is the acronym for High Integrity Pressure Protection System. Main function of HIPPS is an independently instrum whose function is to protect an installation from the overpressure produced in the high pressure part of the same, isol pressure part from it. Environment protection: relief systems release the service fluid to the atmosphere which while HIPPS avoid flui released out of the system keeping the environment free of emissions. HIPPS have to be a safety level equal or higher than the traditional relief methods; calculated safety levels show to be ten times more reliable than traditional methods. 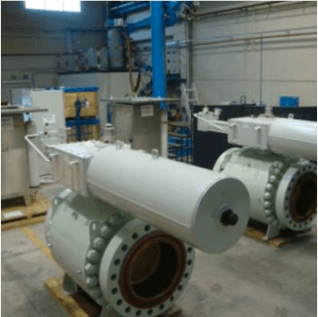 Creating a frontier between two parts of the installation allows the downstream part of the valves of the HIPP lower pressure and therefore, to reduce the cost of pipes and related pressure equipments installed on that part. Initiators (Pressure Transmitters). HIPPS are typically supplied with three pressure transmitters that monitor the the line and provide the information to the next element. Logic Solver: it receives the information from Pressure Transmitters and it is configured to send the signal to op final elements, when the received input is above the preconfigured pressure value. Final elements: Final elements have the function of isolating the downstream part of the installation from the o Typically, final elements consist of two valves with their related actuators installed in serial to be closed when received from the logic solver. IEC 61508: “Functional Safety of Electrical/Electronic/Programmable Electronic Safety Related System”. IEC 61511: “Functional Safety: safety instrumented systems for the process industry sector”. ANSI/ISA S84.01: “Application of Safety Instrumented Systems of the Processed Industries”. Consideration of the consequences of fail (dangerous failure or safe failure). High demand: safety demand interval shorter than one year. Low demand: safety demand interval longer than a year. SIL Level is related to a this PFDavg value and must be considered for the complete functional loop, all its elements an between them. 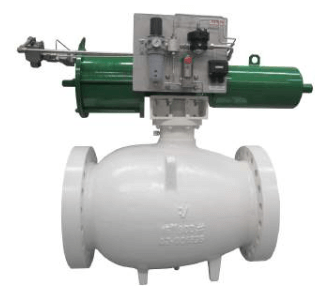 HIPPS are typically supplied with three pressure transmitters that monitor the pressure in the line and provide the information to the next element. This three elements can be selected from the same supplier or three different ones; supplying the pressure transmitters of three different brand avoid what it is call a “common fail”, for instance a quality problem in a lot of Pressure Transmitters produced by the same manufacturer that could affect to the proper performance of the HIPPS. HIPPS is designed to be able work only with two Pressure Transmitters for a while. This is to allow to make some checking or to replace any of them with the HIPPS under operation. In such case, system is working in “degraded mode” and logic solver receives that information. Logic solver is the device in charge of processing the input signals received from the initiators and it is configured to send the signal to operate the final elements, when the received input is above the preconfigured pressure value. Central Processing Unit (CPU): software can be programmed to configure the response based on the inlet signals. This type is certified up to SIL 3. Logic Solver can be supplied with different configurations, based on customer specifications. Cabinets with IP protection grade for hazardous area are available. Interface with the user are customized, by instance touch screen or light and push bottoms panel. Mod bus, OPC, Profibus, Send and Receive TCP & HART. Final elements have the function of isolating the downstream part of the installation from the overpressure. Typically, final elements consist of two valves with their related actuators installed in serial to be closed when the signal is received from the logic solver. 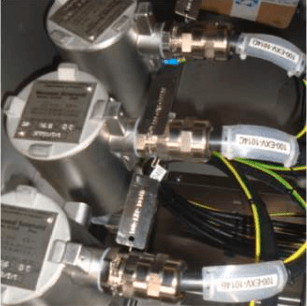 Actuators may be pneumatic or hydraulic and are supplied with their own control panel, including the solenoid valves to govern their operation. Actuators are sized to provide a very fast operation time (less than 2 seconds). 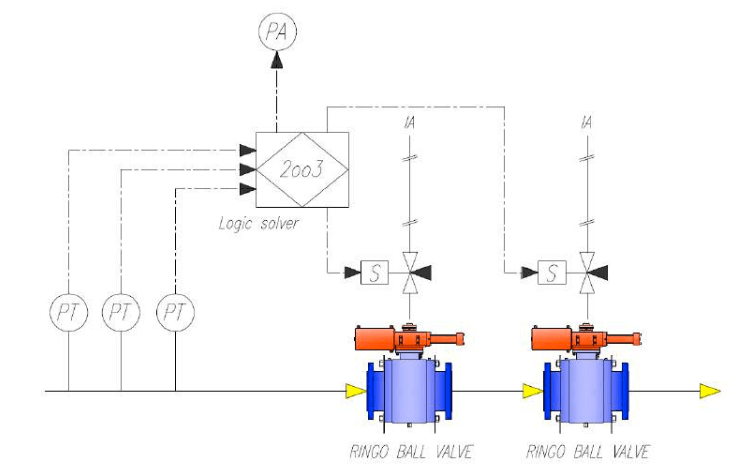 Samson Ringo offers two type of valves for HIPPS: Ball and Axial. Trunnion Design for Low Torque Operation. Soft seated or Metal Seated construction. Fire Safe Design & Certified API 6FA, API607 and BS6755. Flanged grease fittings, vents and drains. A stream lined body with constant sectional area, offers a very reduced coefficient resistance and gives larger Cv values for the same sizes. Fluid is channeled into an annular path between the inner and outer bodies until it reaches the characterized cage. Smooth changes in flow direction and no turbulences contribute to lower noise levels. 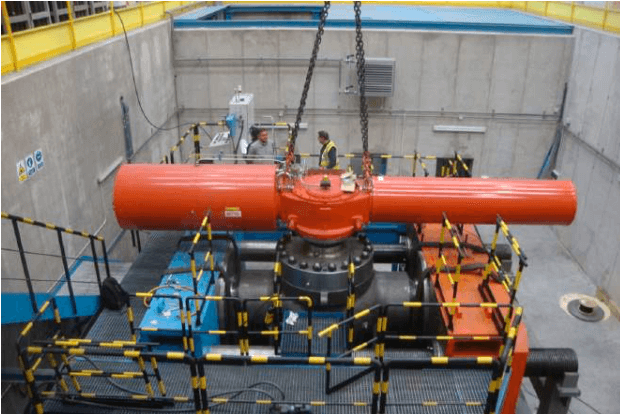 The high capacity, combined with the large range ability, make our axial valve to be acknowledged as the ideal design to control over the full range of process conditions with a single valve. Larger Cv value, combined with high rangeability. Standard at 90° reduced torque actuator. No backlash, low friction drive mechanism, with reduced torque requirements. Linear, equal percent or other characteristics. 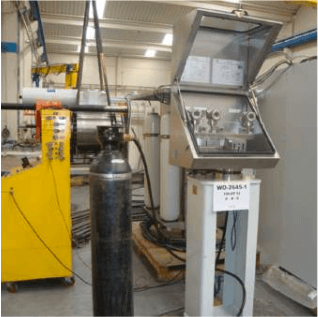 Effective noise reduction and cavitation. Soft seated, bubble tight shut-off. Further information about Axial Valves is available in Samson Ringo Axial flow valves brochure PRD-VAXL-ING-001-R0. 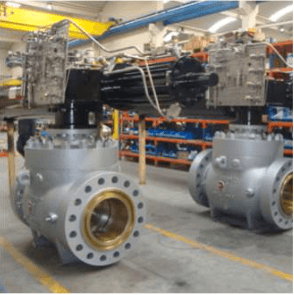 Actuators assembled with Ringo valves for the HIPPS systems can be pneumatic or hydraulic and they are supply in full compliance with customer specifications. Actuators include the control panel as specified, with solenoid valves. Partial Stroke Test is available depend on SIL classification requirements. 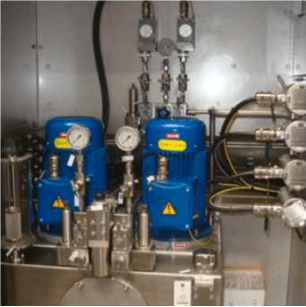 Samson Ringo has state of the art facilities for the assembly and testing of the final elements and integration of the HIPPS system. Performance of Factory Acceptance Test of the completely integrated HIPPS. Test can be witnessed by customer or by his nominated Third Party Inspection agency.